For 30 years we have been designing and building surfboards based off of rider feedback and direction. 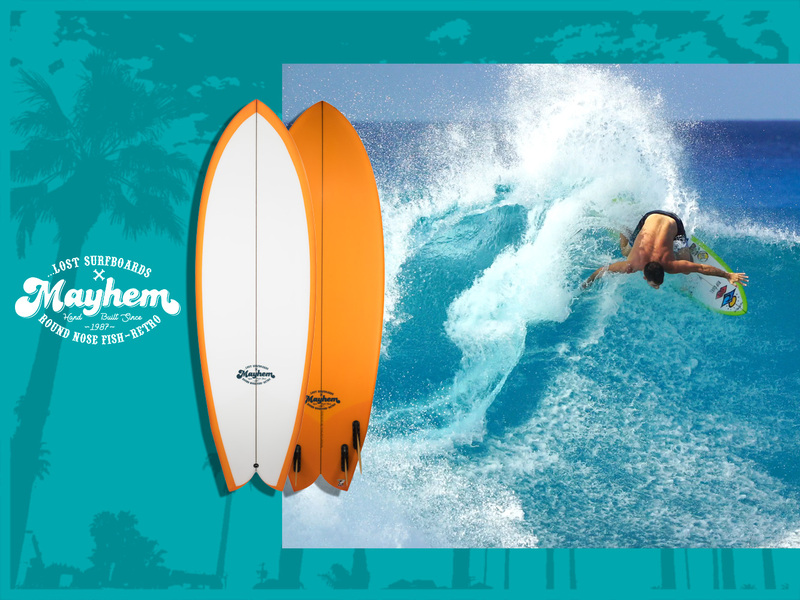 From the earliest days designing for local hotshots, to decades of working with many of the worlds best surfers, performance surfing has always been at the forefront of our focus. In the mid 90s, at the advent of the modern "model" era, along with the "RNF" and "Tri-Fish", one of our first models was the "Pro-formance shortboard". It was essentially the epitome of our modern high performance competitive surfboard of that time. Over the years, as our sales and hype became more and more driven by alternative and hybrid designs, (focused primarily on helping average every day surfers) we never wavered from our work with the top level competitors. From Chris Ward, Cory and Shea Lopez, Andy and Bruce Irons, Shane Beschen, Taj Burrow, Julian Wilson, Kolohe Andino, Carissa Moore,Tyler Wright...and beyond, we have consistently strived to supply the best surfers with the best possible equipment. In spite of the hip or the hype, wrong or right, day and night…the best surfing in the world is STILL being done on a modern, high performance, pointy nose thruster. Now, in our 30th year of building surfboards, we are stripping things down to the basics and launching..or should we say, re-launching, the …Lost Surfboards "Pro-formance Series". Starting with the models that our top team have been riding in International, WCT and WQS competition, we have completely revamped, refined and somewhat re-designed the Pro-formance Series DRIVER, SUB-DRIVER and POCKET ROCKET. Painstakingly reflecting exactly what is under the feet of these athletes over the last year, each board is built directly off of a “magic” board from a top surfer, and scaled, size wise, from there. In addition to updating the shapes and sizing, we have re-envisioned an overall, subdued look of the boards as well. The boards are glassed using the same performance proven high end materials that we use on competition boards. We began with Arctic foam, standard weight blanks and integrated them with new triple-ply, dyed black, bass wood stringers. The blanks are glassed using a composite of 4oz “S” and Direct size glass, allowing the strongest possible lightweight PU/PE construction. For the launch of the Proformance Series, we have introduced a new, linear fade fused carbon tail patch, engineered to add more impact resistance precisely where we have researched that the surfer’s heel and toe will be placed during maximum pressure and compression. The carbon then minimizes as it spreads fore and aft, to encourage and allow further flex. We tossed the cartoons and replaced the model logos with simplified Formula-1 race inspired fonts. Finally, we have introduced the all new modern and minimalistic, “Pro-formance Planet Lam” logo…further reflecting the influence and inspiration from high end, high performance racing.